This headset provides superior audio quality. All the adapters are included to connect to your X16 phone with a 2.5 mm headset connector. 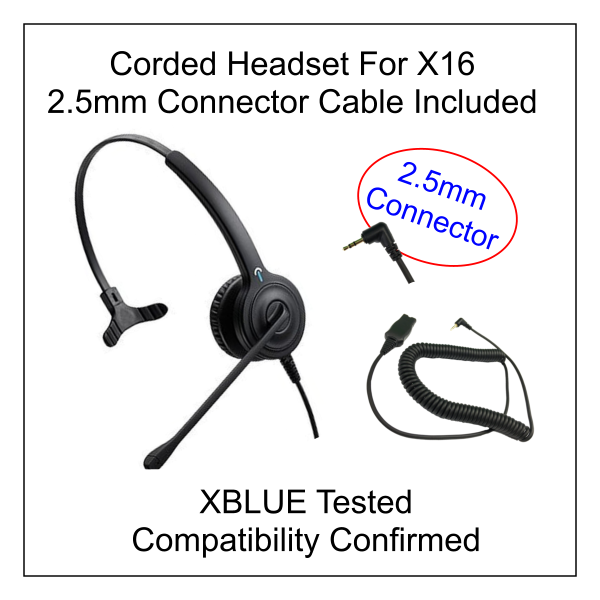 The headset is activated by pressing the "Feature" Button on the X16 phone and then pressing the digit 9. Feature Code 9 can also be programmed on a single button so the headset can be enabled and disabled by pressing the button. A headset must be plugged into the jack to enable or disable headset mode.